This U.S. Mint numismatic sales report covers the week ending August 19, 2018. The Mint’s best-selling product this week was the San Francisco Mint’s 2018 American Silver Eagle one-ounce Proof coin (18EM). Released on August 14, it sold 77,467 units. In second place was the 2018 San Francisco Mint Silver Reverse Proof Set (18XC), which sold 15,703 units. The third best-selling item this week was the 2018 U.S. Mint Proof Set (18RG), with 13,825 sold. It’s followed by the 2018 U.S. Mint Uncirculated Set (18RJ), with 3,598 individual units sold; and the 2018 U.S. Mint Silver Proof Set (18RH), with 3,569 sold. This week saw a downward adjustment of -11 for the 2018 American Eagle one-ounce gold Uncirculated coin (18EH). The George Washington and John Adams presidential silver medals (S801 and S802) were released on August 16 last week and will be included on next week’s report. Additionally, a limited number of World War I silver dollar and medal sets are now available for purchase. The following are the U.S. Mint’s cumulative sales figures for the reporting period ending Sunday, August 19. “LKS” indicates that the number given is the last known sales figure for a sold-out item. Mintage and product limits are indicated, where applicable; if a coin is in stock but is nearing sold-out status, a link to the Mint’s product page is provided. Items in italics either are scheduled for release or have been released too recently to appear on the report; items in bold are appearing on the report for the first time. @ Brandon Hall/Coin Update News: Both this report and the one posted on MNB is incorrect and has a typo, ongoing! 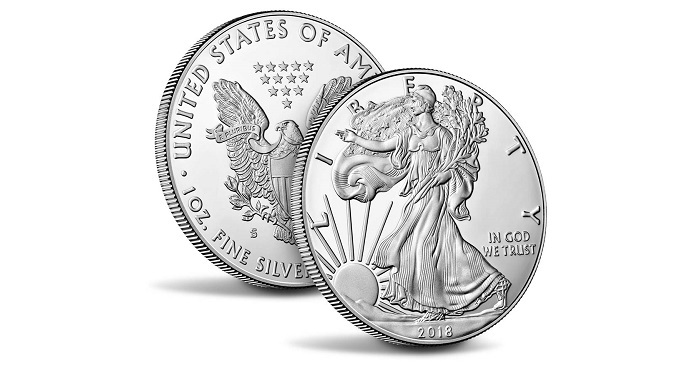 The 2018 ASE (S) is the one that just went on sale, not the 2018 ASE (W)!